BERLIN -- New-car registrations in Germany will grow to one of their highest-ever levels this year but likely will decline next year because of falling demand for diesels, the VDA industry association said. Fueled by a strong economy and sales incentives for cleaner diesel models, registrations may rise at least 3 percent to 3.4 to 3.5 million vehicles, the VDA said. The total would be close to an all-time record of 3.8 million achieved in 2009 thanks to a national scrappage program to spur a then-slumping car market. 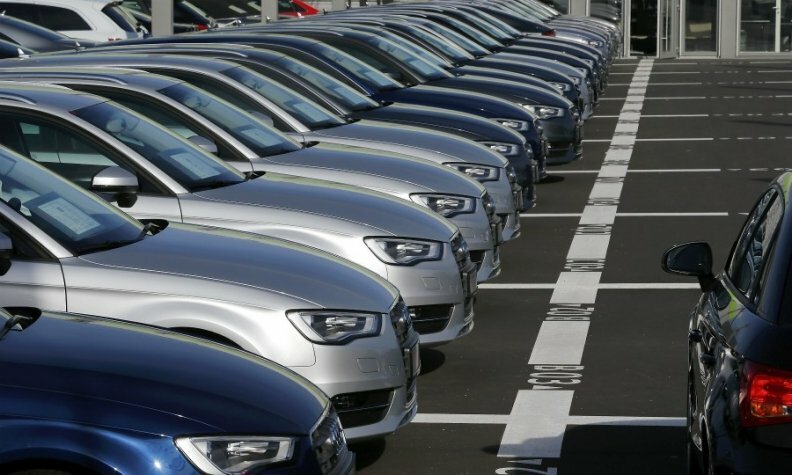 Persistent economic growth, high employment levels, solid wages and low interest rates have helped Germany's auto market post a fourth straight significant gain in annual sales, Matthias Wissmann, head of the VDA auto industry association, said at a news conference on Wednesday. "A level of between 3.4 and 3.5 million is a historic high," Wissmann said. "Except for the year of the scrappage incentives, I can't think of another year" with such strong demand. However, car sales may slide by 2 percent next year to slightly below 3.4 million vehicles, Wissmann said, with diesel cars' share of overall German registrations locked into decline amid a public discussion about possible driving bans to help fight pollution. "The debate about driving bans is the only factor that brings about a certain restraint among customers," Wissmann said. He predicted that the market share of diesel models in Germany would drop below 40 percent on average in 2017 from about 45 to 46 percent last year. Pressure is growing on Germany to enforce clean air limits as dozens of cities, including Munich and Stuttgart where BMW and Daimler are based, could face penalties for allowing nitrogen dioxide (NO2) levels in excess of European Union limits introduced in 2010, the DUH environmental lobby has said. Wissmann said a positive ruling by Germany's highest administrative court in Leipzig in February could help stop the steady decline in diesel model sales. The Federal Administrative Court is expected to discuss on Feb. 22, 2018 a ruling by a lower tribunal which said diesel vehicle bans are necessary to help meet EU clean air rules. In the first 11 months German registrations are up 3 percent to 3.2 million vehicles, figures from the KBA motor transport authority show. Diesel sales fell 17 percent in November for a market share of 34 percent.